Abstract: The present contribution deals with the taxonomy of seven species of perisphinctoid ammonite from the Štramberk Limestone (Outer Western Carpathians, Czech Republic) deposited in Moravian-Silesian museums. The age of these studied ammonites is compared with that of index microfossils contained in the matrix adhering to or infilling the studied specimens. The ammonites document a stratigraphic range from earliest Tithonian to early Berriasian. In addition to taxonomy and new ontogenetic data on some species, we also present data on their palaeogeographic distribution. 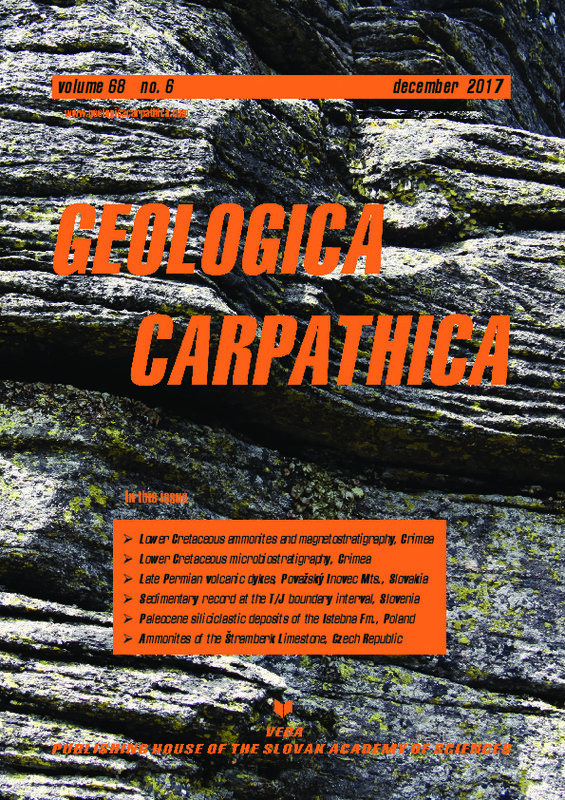 The occurrence of Subboreal himalayitids in the Štramberk Limestone of an early Berriasian age is determined by both the microfauna and accompanying ammonites, which indicate connection of the Silesian-part of the Tethyan Carpathian area with the Subboreal Russian Platform Basin. These records also suggest an early Berriasian age (Jacobi Chron) for the lowermost part of the Ryazanian stage in its type area.